Lettuce seeds can be harvested from your lettuce crop, but according to the University of Illinois, they do not keep well and are more difficult to germinate than seeds purchased in the spring. If you decide to harvest your lettuce seeds, plant them in the spring so if they do not grow as expected, you still have time to buy other seeds and plant them during the same season. Plant lettuce in the spring before hot weather arrives. You can also plant lettuce in the late summer for a later fall harvest. To collect the seeds, wait until the flower stalks grow and mature, usually about two to three months after planting. Flowers form in groups of 10 to 25 and will each form just one seed. 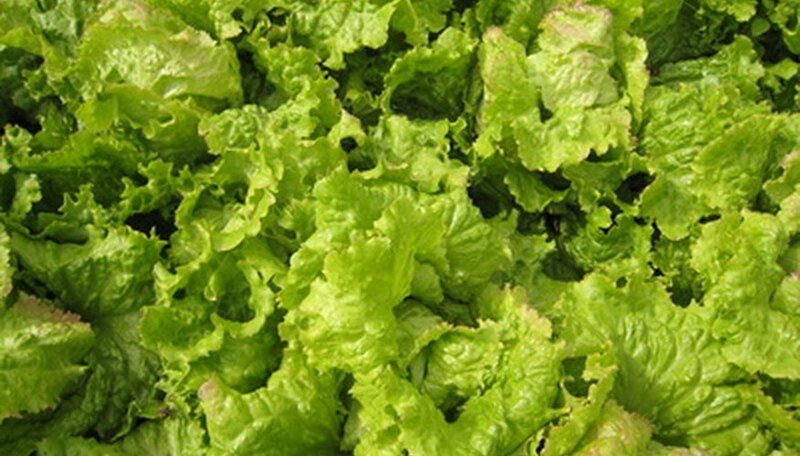 Harvest lettuce leaves when they are large enough to consume. Leave the flower stalk behind and wait three weeks after the flowers have appeared in order for the seeds to mature and dry. Place a clear plastic bag loosely on top of the flowers if birds are eating the seeds. The seeds can continue to form and dry during this time. Harvest the seeds by cutting off the stalks and bringing them indoors. Then hang the stalks upside down for a day indoors and out of the sun to dry. Shake the flowers for the seeds to drop. If they don’t drop, rub the flowers with your hands until the seeds separate from the flowers. Store lettuce seeds in a sealed container and place it in the refrigerator to plant in the spring or summer.